A Class 'A' PGA Professional, Tom has operated Monaghan Golf Group since 2009. Tom served seven years on the Board of the PGA of Canada – including two years as Secretary - in addition to sitting on the British Columbia Advisory Board of the National Golf Course Owners Association (NGCOA). In 2012, Tom was awarded the Fore Season Golf Professional Award from the NGCOA; in 2014 he was awarded the Golf Professional of the Year from the PGA of BC. Tom’s favourite golf experience is playing 18 holes at Royal Dornoch along the eastern coast of Scotland. When not on the course, Tom enjoys travel, Crossfit, hiking, skiing and spending time with his family. James’ favourite golf experience is playing in the 2014 VGT ‘Shoot Out’ at Gleneagles Golf Course where he was lucky enough to make it further than PGA tour players Nick Taylor and Adam Hadwin. When not on the course, James spends his time playing badminton, skiing, and spending time with his family. Prior to joining Monaghan Golf Group, Bob completed a 45-year career with Acushnet Canada, the distributor of both the Titleist and FootJoy golf brands. Excelling in sales, Bob was awarded the National Titleist Sales Professional of the Year in 2002 in recognition of his skills. He was also recognized as the 2013 Regional Sales Rep of the Year by the PGA of BC. Some of Bob’s favourite golf experiences include playing Pebble Beach in 2013 and attending - in person - the final three rounds of the 2011 Masters, in Augusta. When not on the course, Bob enjoys biking and cooking. Prior to joining Monaghan Golf Group, Vanessa honed her retailing skills at The Arbutus Club, Shaughnessy Golf and Country Club and as a Retail Consultant for many of the top courses in the Lower Mainland. She is a Certified Titleist Performance Institute Trainer and was the Western Canadian Regional Director of the Association of Golf Merchandisers from 2009 to 2012. One of Vanessa’s favourite golf experiences include meeting tour players at the 2011 Canadian Open. When not on the course, she enjoys spending time with her family outdoors, skiing and fitness. Marv operates MIM Financial Services and provides his excellent services to Monaghan Golf Group. He has a Graduate Business Administration Degree from the University of Regina, and was previously the Financial Manager for Skoah. Marv claims to be terrible at golf but enjoys other sports such as squash, hockey, mountain biking and hiking. He also enjoys cooking and eating the fruits of his labour. Victoria comes to Monaghan Golf Group with prior golf course experience from St. Georges Golf & Country Club (Toronto). With a diploma in Publishing from Langara College and Media Foundations credentials from Humber College, Victoria works with the team to create MGG's visual communications, in print and online. New to the West Coast, Victoria spends her off-computer time watching Netflix with her cat, boxing, or hiking and photographing BC’s amazing forests and ocean. Prior to working with Monaghan Golf Group, Shawne operated her own fine art appraisal business while teaching art history courses and publishing articles on the art market. Now a full-time writer, she pens, edits and oversees the internal and external communications for MGG while writing fiction on the side. Shawne is a fair-weather golfer and enjoys spring-and-summer lessons with her women's group. When not on the course she loves to read, hike, travel, collect art and spend time with her family. A Class 'A' PGA Professional, Jan began his golf career at the family-owned, Pacific Golf Recreation Center (Vancouver Island). During his employment here, he earned his Bachelor’s Degree in Biology and Political Science from Vancouver Island University. One of Jan’s favourite golf experiences is conducting golf clinics for underprivileged youth in remote areas of Vancouver Island, a program created in partnership with Junior Chairman Pat Irwin. When not on the course, Jan enjoys soccer and playing the guitar. 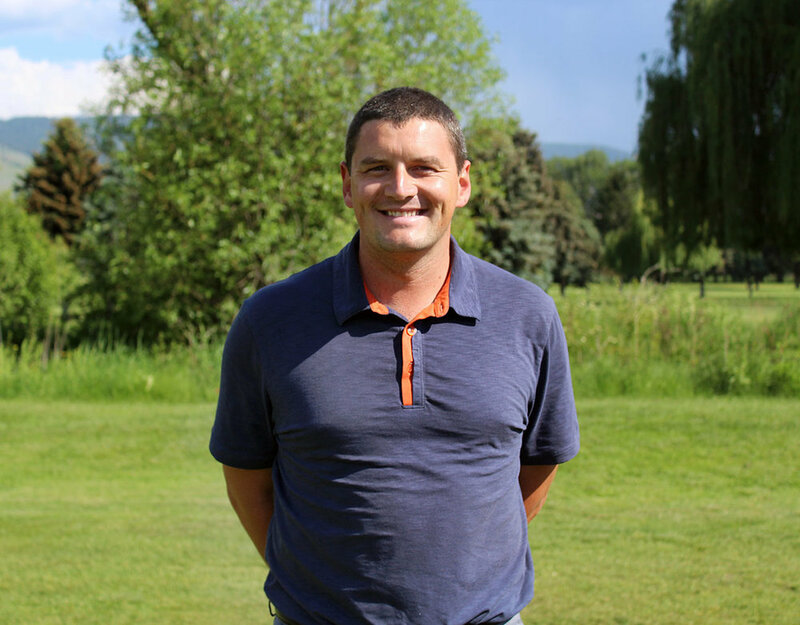 Brad comes to Monaghan Golf Group with extensive experience as Head Professional at Granite Pointe Golf Club (Nelson, BC) and Shadow Ridge Golf Club (Kelowna, BC) and is new to his role as Operations Manager/ Executive Professional at Salmon Arm Golf Club. Brad won the 2001 Spalding Cup with Al Pisch at Salmon Arm Golf Club in 2001, and is a three-time Interior PGA Order of Merit Winner. Brad’s favourite golf experience is following Jack Nicklaus and Tom Watson on the final round of the ATT & T Pebble Beach Pro Am in 1995. When not on the course, Brad enjoys all sports and travelling to warm destinations. Rick comes to Monaghan Golf Group as Superintendent of Shadow Ridge Golf Club (Kelowna). Previously he worked at Storey Creek Golf Course (Campbell River, BC) and Royal Oak Golf Course (Victoria, BC). One of Rick’s favourite golf experiences was in 2006 when the Annual Rod Brind'Amour MSS Charity tournament was hosted at Storey Creek; the Carolina Hurricanes won the Stanley Cup that year and his team had their picture taken with the Cup. When not on the course, Rick enjoys deep sea fishing, camping, and spending time with his family. A Class 'A' PGA Professional, Mark comes to Monaghan Golf Group from Quilchena Golf & Country Club (Richmond, BC) where he spent four seasons as the First Associate Professional. Prior to this, he was at the Tobiano Golf Course (Kamloops). Currently ranked 64th in the PGA of Canada, Mark has won several professional events and qualified for the Canadian Tour (PGA Tour Canada) where he played from 2008-2010. Mark's favourite golf experience is playing a practice round with Ryder Cup player Chip Beck. When not on the course, Mark enjoys 10 pin bowling. A Class ‘A’ Level 5 Teaching Professional, Derek was the technical swing coach for the UBC Men’s and Women's Golf Teams and coached players on the RCGA National Junior Team and National Women’s Team, prior to joining Monaghan Golf Group. As a player, Derek competed on the Canadian PGA Tour and the Australia / New Zealand PGA Tour. He has also played in Canadian Open qualifying events and reached second stage qualifying for the U.S. Open. One of Derek’s favourite golf experiences is playing in the US Amateur Championship in Chicago. When not on the course, Derek spends his time travelling and skiing, and enjoys photography and listening to music. Myles comes to Monaghan Golf Group with a Bachelor of Coaching and Physical Education Degree from Douglas College (Vancouver). He has worked at Fraserview Golf Course for almost 10 years, initially picking balls at the range and is now the Golf Operations Manager for both Fraserview Golf Course and Langara Golf Course. One of Myles' favourite golf experiences is meeting Paula Creamer at the 2012 LPGA Canadian Open. When not on the course, Myles enjoys playing volleyball and exploring new places to eat. 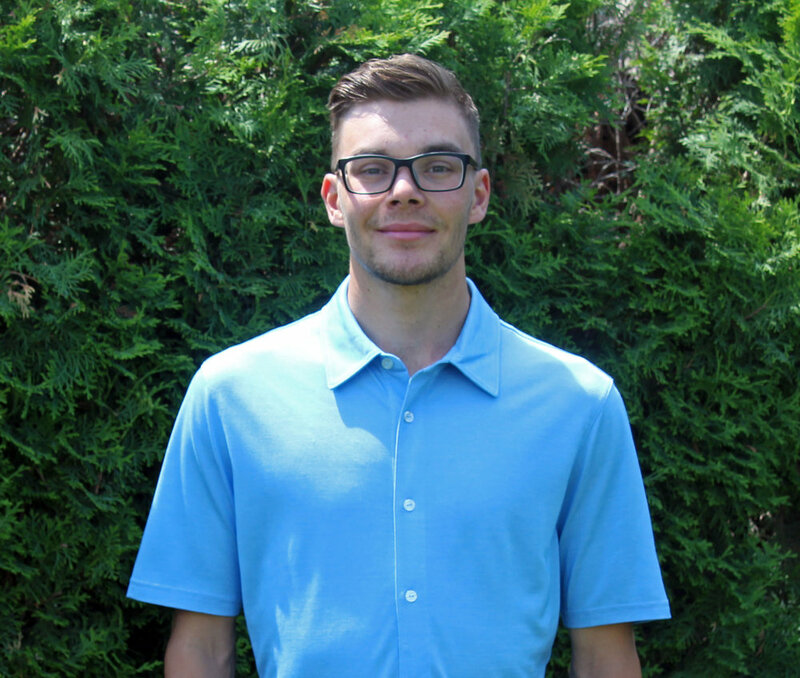 Mason, a PGA of Canada Candidate for Membership, comes to Monaghan Golf Group with a Diploma in Golf Management and an Advanced Diploma in Golf Operations from Camosun College. Previously he worked at the Arbutus Ridge Golf Club (Vancouver Island) and at Shadow Ridge Golf Club (Kelowna). Mason turned professional in 2017. Mason's favourite golf experience was when he first broke even par. When not on the course Mason plays on two baseball teams and enjoys looking for new travel destinations; he most recently backpacked through Costa Rica. Alex brings his experience to Monaghan Golf Group from Kananaskis Country Golf Course (Alberta) and Langara Golf Course, where he worked as the Golf Shop Attendant from 2014 to 2017. He also has diplomas from the Vancouver Film School in Foundation Visual Arts & Design and Game Design. Some of Alex’s favourite golf experiences are playing Hilton Head courses such as Harbour Town, Old South, and Old Carolina, in South Carolina. When not on the course, he enjoys camping, film, and most recently, woodworking. Les comes to Monaghan Golf Group with twenty years of experience managing sport operations with Canada Soccer, FIFA, Concacaf and the Canadian Olympic Committee. During his time at FIFA and Concacaf, he oversaw all aspects of event management from broadcast and multi-media to stadium performance and the accommodation and transportation for Teams and Event Staff. At Canada Soccer, he was the National Teams Manager. As a member of the Canada Olympic Committee, Les assisted in managing the Canada Olympic House for 2012 London and 2010 Whistler Olympic Games. Les' favourite golf moment is playing Royal Portrush in Northern Ireland. When not on the course he enjoys travelling (he's visited over 80 countries), hiking and kayaking. Alex has been with Monaghan Golf Group since 2009. Prior to this he worked at Musqueam Golf and Learning Academy (Vancouver), where he began his golf career picking balls so he could earn golfing privileges and work on his game. Alex then worked at Fraserview Golf Course and Langara Golf Course; during this time studied Human Kinetics at UBC and Langara College. Alex’s favourite golf experience is making a ten-foot putt on the final hole of his PGA of Canada qualifying tournament to shoot the number he needed to earn his Playing Ability Test. When not on the course, he enjoys rowing, hiking and bouldering.